I spent my last weekend of my month in Austin finishing up my list of things I wanted to see while here. 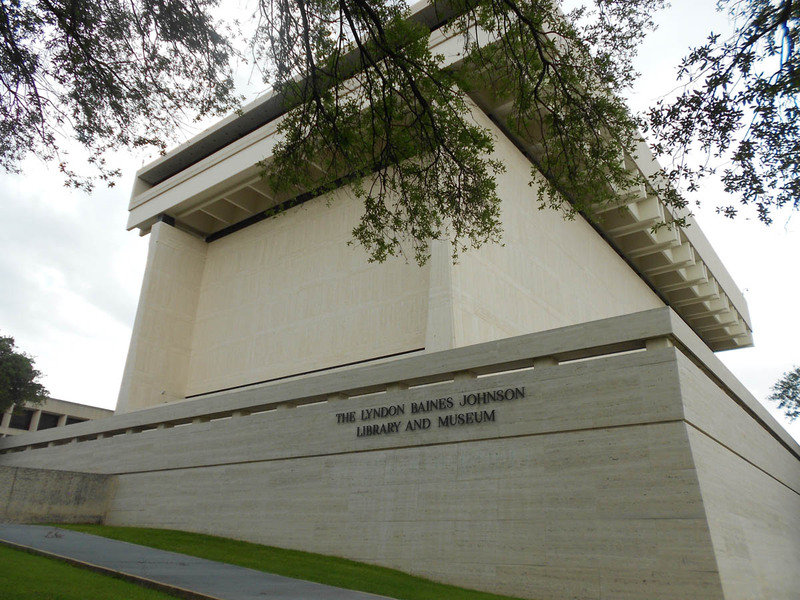 The first was the LBJ Presidential Library. I have made it a goal to visit all of the libraries, or at least as many as possible. There may be one in particular I opt to skip. 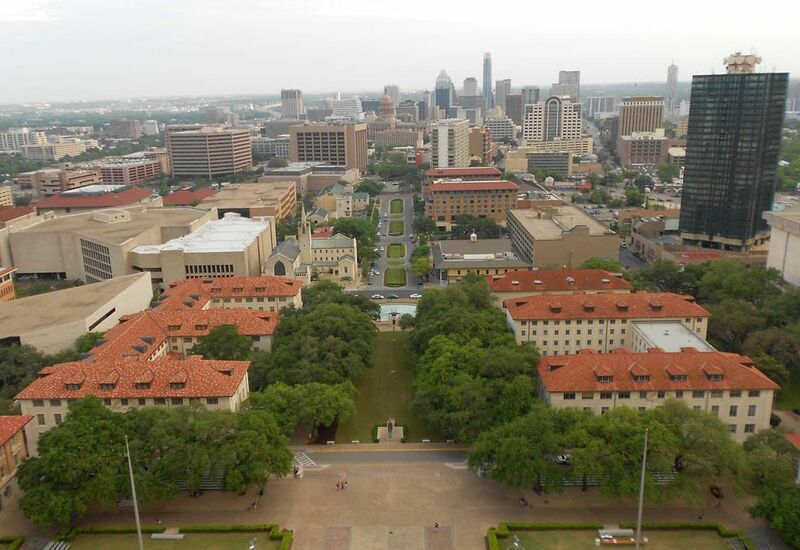 😉 But being right there on campus made the LBJ library easy enough to combine with my other “wrap up” item of a trip up to the top of the University of Texas Tower. 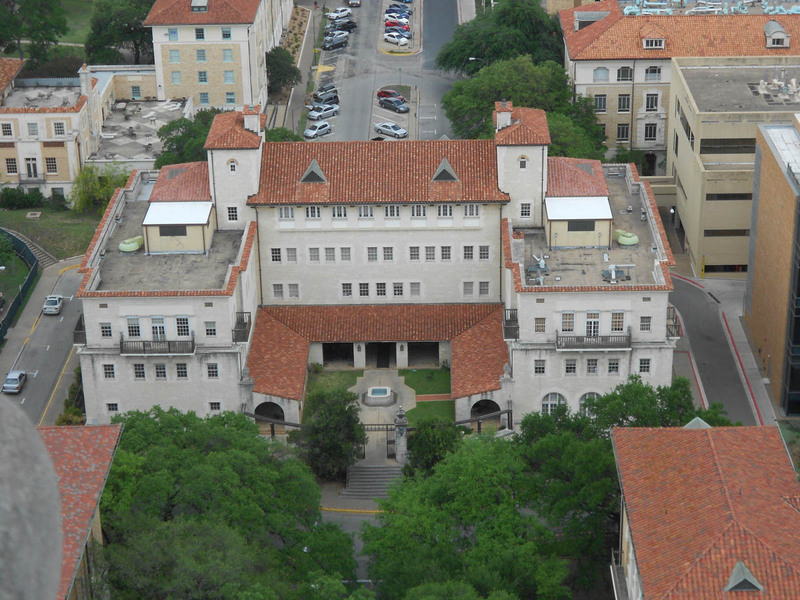 Again with my personal conviction to tradition to only visit the UT Campus on bicycle as I did during my five college years, I made the uphill, uptown trek along Shoal Creek to 24th Street. As long as I can still peddle there, I shalt not drive. It just wouldn’t feel right. 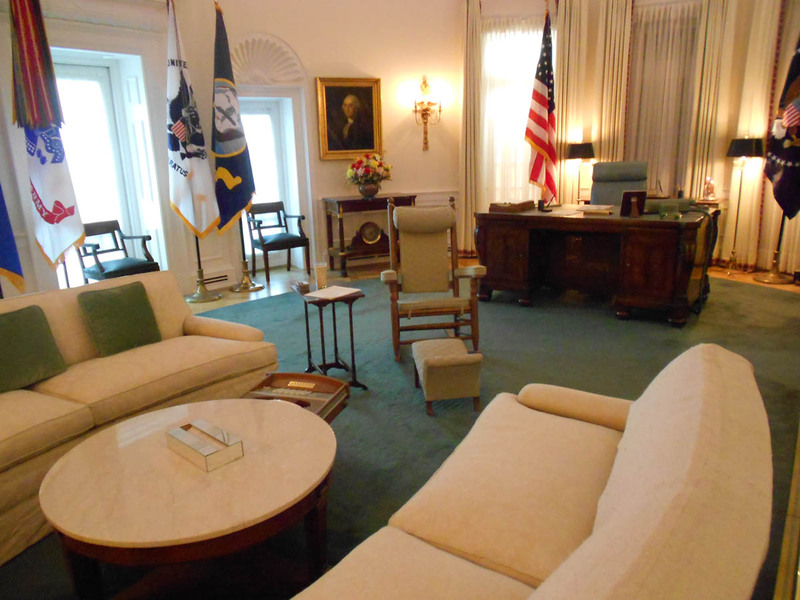 First stop was the LBJ Presidential library, only my third in my quest to see them all. But hey, I live in a home with wheels now, so no more excuses! 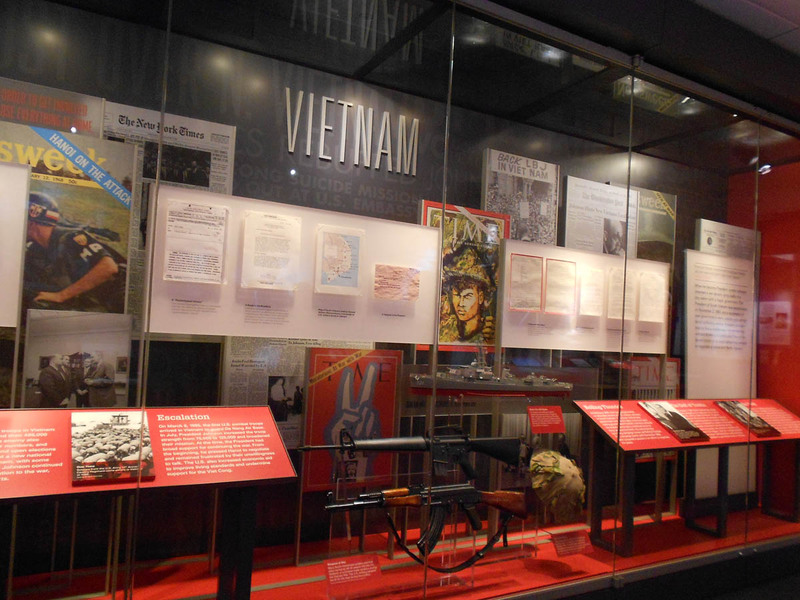 And of course, I found the Vietnam War exhibit to be riveting. 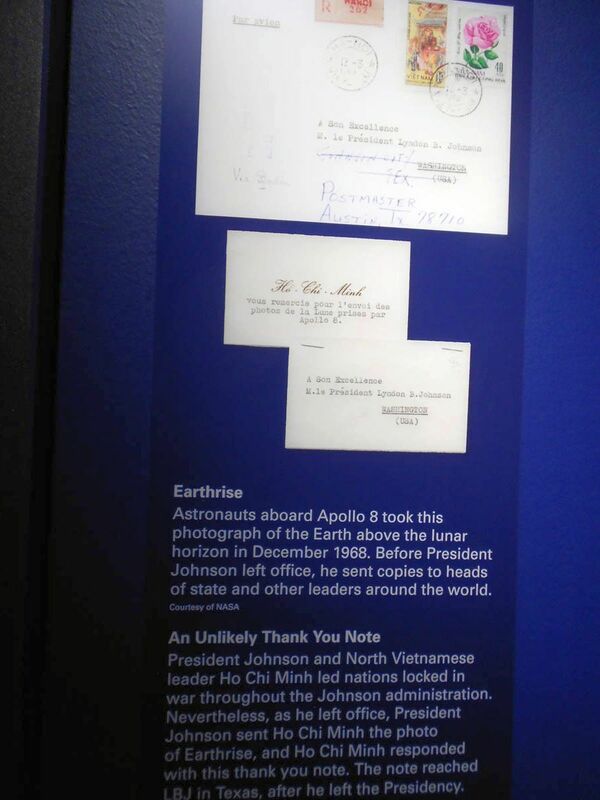 A thank you note from Ho Chi Minh himself, showing his appreciation for a photo of the earth taken from Apollo 8. Who would have thought Uncle Ho had such nice stationary! 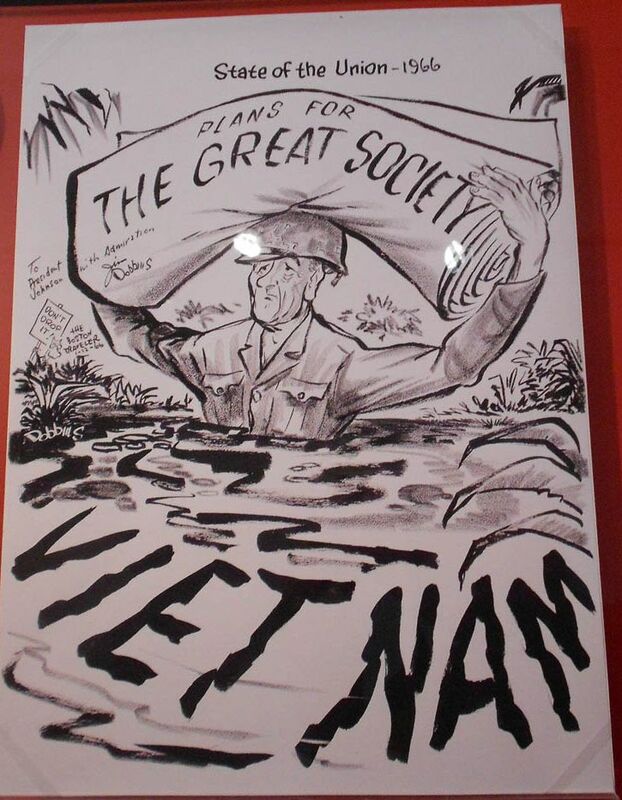 And the reminder of history repeating itself with the telegram from the concerned mother that read simply “Bring our boys home from this no win war.” Signed, Mother of two servicemen. But the parts that I really didn’t remember were the other contributions outlined in his “Great Society.” The Voting Rights Act that did away with literacy tests for voter registration, Air Quality Act, Freedom of Information Act, Nuclear Non-proliferation Treaty, Wild and Scenic Rivers Act, National Trails Systems Act, the Land and Water Conservation Fund Act, and of course, the Civil Rights Act. 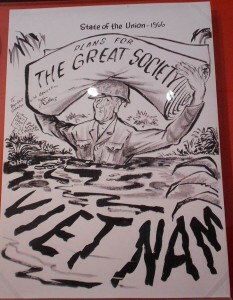 Very busy man compared to our “Do Nothing” Congress of today. 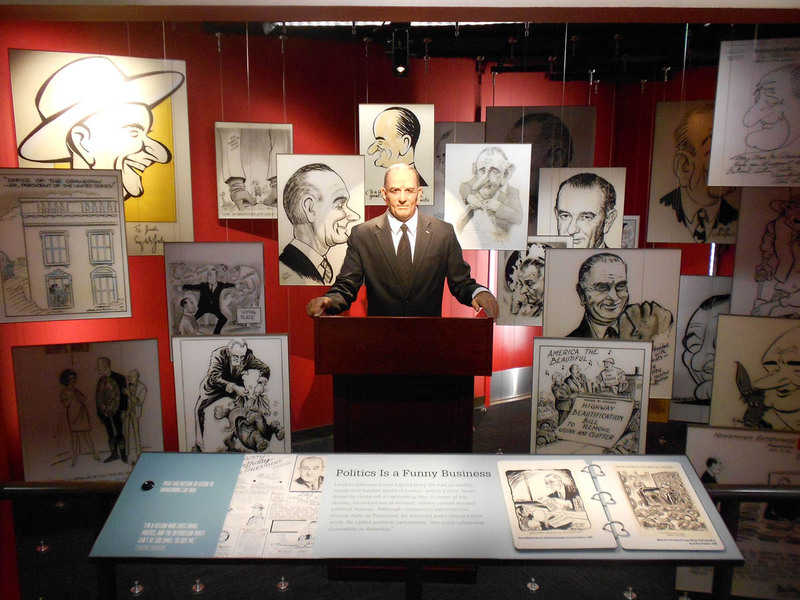 But by far the strangest part of the museum was the automated “Robo-LBJ” who moved, laughed, told jokes in the voice of LBJ, but really looked nothing like him at all. 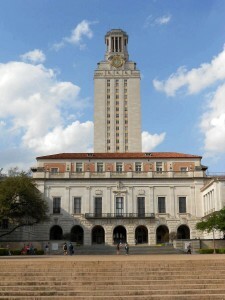 I wrapped up the day with a tour of the Texas Tower, something I never got to do during my university days. They closed it in 1974 because people kept offing themselves. 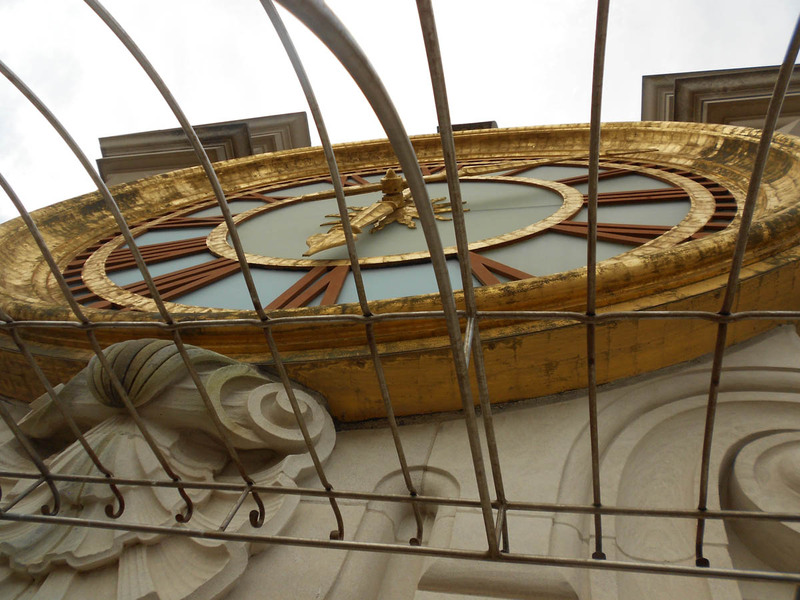 It was a well known trivial fact the location of the only two alcoves where you could aim your leap to fall all the way on the bottom without hitting the rooftop of the surrounding buildings. One of these alcoves happened to be on my route to the Home Ec building every morning. I can still remember the day of the last jumper which caused the tower access to be closed, as I happened along just in time to see his chalk mark on the pavement. Memorable. 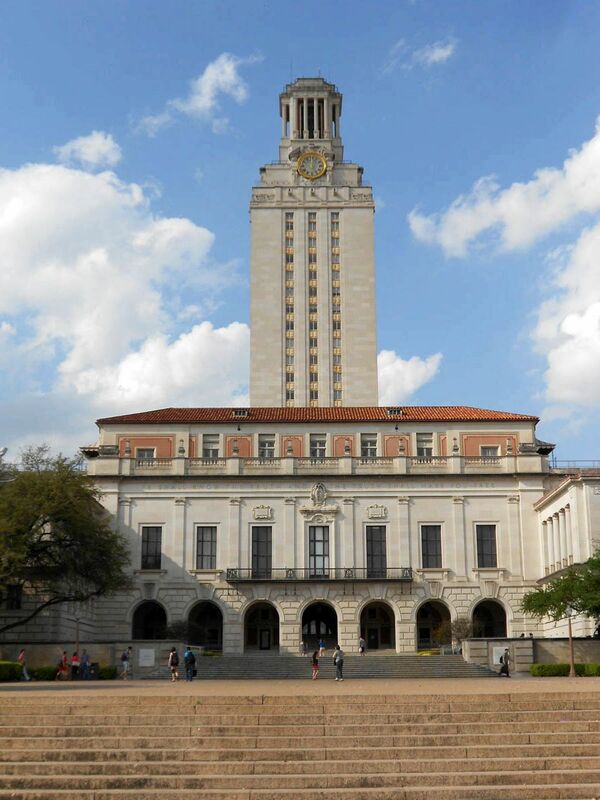 Of course, the biggest memory that haunts most university students is that of Charles Whitman, the ex-Marine turned sniper in 1966 who took aim and mowed down 17 people and wounded another 32, taking cover behind the concrete wall and shooting through the drain holes. So a morbid history led to my morbid curiosity to see the view from the top. However, once I got over the morbid bits, I really gained a new appreciation for the beauty of the red tile roofs of the Spanish Renaissance architectural style that they have kept to over the years. 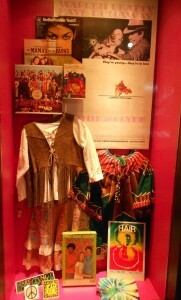 Well worth the $6 price of admission! 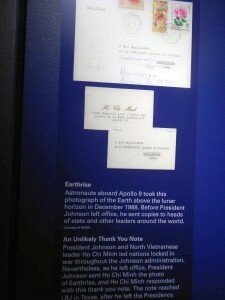 This entry was posted in Austin, Presidential Libraries, Texas and tagged LBJ Presidential Library, University of Texas Tower by Suzanne. Bookmark the permalink. My smarter older brother has it on his bucket list to visit all the presidential libraries. Yeah, his bucket list doesn’t resemble mine (sigh)…ex university president and all… but anyway, I believe he’s seen them all. 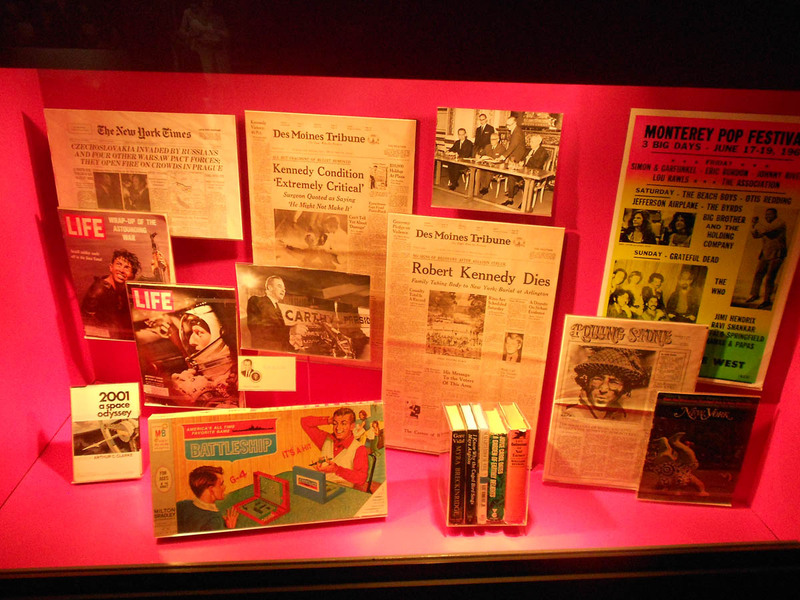 He remarked about the LBJ library…it was such a troubled time, memorable, as you say.